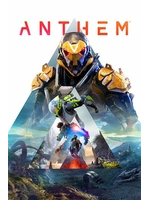 The Anthem VIP demo has just ended and if everything was not perfect, especially during the first hours when the connection was literally impossible, we still took the time to capture the game on Xbox One X. You can watch Fort Tarsis and some exploration in 4K, and a coop gameplay video in 1080p. I've read the articles and the blog post by BioWare on the game's technical problems, Will try the open beta this next weekend, if they don't delay it due to technical issues. I've read both good and bad comments on the VIP Beta, so want to try it for myself and form my own opinion. I just hope the game is very good and sucessful enough for EA, For BioWare's sake. After Mass Effect: Andromeda's failures, I'm sure EA will happily shutdown BioWare if Anthem fails. After Mass Effect: Andromeda's failures, I'm sure EA will happily shutdown BioWare if Anthem fails. Not actually the same studio and I don't think so. They already announced Dragon Age. Given EA's history of shutting down studios, sometimes after just 1 game failing to sell well, it's recent trend of cancelling games mid-development - 2 AAA Star Wars games - and the fact that Dragon Age 4 has been rebooted once already, and most of BioWare is heavily working on Anthem, therefore DA4 is still very early in development, I can easily see EA cancelling it and shutting down BioWare if Anthem is a failure both critically and comercially. Below are 2 excerpts from the following article, though it's worth reading it in full, it's not long and sheds some light on how important Anthem is for BioWare's future. "Over the past few months, BioWare has essentially transformed into a single-game studio as it harnesses its teams to work on the ambitious multiplayer action game Anthem, sources say. There are still small teams maintaining Star Wars: The Old Republic and piecing together the next Dragon Age, which was recently rebooted, but the bulk of BioWare’s staff in both Edmonton and Austin are now on Anthem. And there’s a sense among BioWare employees that the company’s future is inextricably tied to this game." "To BioWare staff, the stakes feel higher than they ever have. 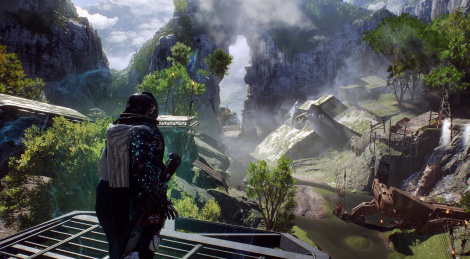 As one developer told me, there’s a belief that if Anthem doesn’t live up to EA’s expectations, BioWare will look very different in the future, especially after the disappointment of Mass Effect Andromeda led to EA absorbing BioWare Montreal into the studio EA Motive." Best looking Sci-fi MMO, besides Star Citizen. I kinda wish this wasn't an MMO though. seems a lot like Warframe as a result. I think visually it looks very good. However, went back to check the reveal and it certainly is a pretty big step down from that. Maybe that is what we will see on the next gen version? When it happens you can tell me I'm wrong, but I'm pretty sure it aint happening. Bioware is one of EA's largest studios, if not their largest. They'll make other changes long before moving to dissolve the studio. People have been saying that DICE and Bioware are doomed forever, but it's just not happening. As for Star Wars: I can't imagine that anyone at EA is over the moon with the deal anymore. At this point it's probably more of a burden than an asset. I wonder how much of what's happened is actually Disney's fault. Almost every team at EA was pitching Star Wars projects at some point, including Bioware if some accounts can be trusted. It's curious why so few have seen the light of day. Bioware was done the moment they were bought by EA. Whether they are shut down or not is kind of meaningless, the real Bioware is no more. RIP. The Mass Effect trilogy was amazing, with ME2 a total classic. As far as these videos, the first one specially, that city looks boring as hell. Just lifeless. Bioware was done the moment they were bought by EA. with ME2 a total classic. "spits drink"... And that's why EA is here to stay. You mean a post-EA BioWare game lead by Casey Hudson and designed by Preston Watamaniuk? Guys who still work at BioWare and are team leaders on Anthem? People love to say "it's not even the same developer anymore!" about basically everyone who has any success in the industry. It's usually uninformed nonsense. Both true and meaningless in the sense that every studio is constantly changing, but also retaining staff from the top to the bottom. I hope you're right, but EA has clearly shifted to the "games as a service" model, which means they expect a lot of profit from their games now, with the exception of low budget games like Unravel 1-2, Fe, A Way Out and Sea of Solitude, of course. While I love BioWare and its games, its strengths are in Single-Player Story games, clearly they're trying to change, or rather add Multiplayer and GaaS as strengths, which is what we're seeing with both Anthem and Dragon Age 4 being rebooted to be a "live game". Like you've said, BioWare is very big, but I just don't see EA being patient enough with them if that transition from Single Player to Multiplayer fails or takes too long. The only studios I see as almost "unkillable" in EA's eyes are the FIFA and DICE ones, because they generate a lot of money for EA. But even the FIFA studio had to quickly do those time limited events with very OP FIFA Ultimate cards to increase revenue, since revenue from macrotransactions was slightly lower than expected. Outside of those, no studio is truly safe, even if they are absorbed into other studios like BioWare Montreal was by EA Motive and DreamWorks Interactive/Danger Close Games was by EA DICE, becoming DICE Los Angeles. Basically, the problem is not that BioWare isn't big, but that if BioWare fails and EA doesn't know what to do with them, I just don't believe EA will wait until they do. They might just absorb them into other studios. I don't hate EA, people say they're "evil", but they just want a lot of profit and pursue it more aggressively than most other companies. There are actually evil companies in this world who intentionally hurt and kill people without any regard, those are the evil companies - who people conveniently forget when criticizing EA, Activision, Ubisoft, etc. EA is nothing like that, I just don't see them - taking into account their history and corporate culture, as being patient with studios that fail, however big they are. For a game about mechs it's a shame most of them are so slender and humanoid. The guy in this footage looks like he was ripped right out of destiny. Yeah I can't say I loved it, but I don't like any of the games it's being compared to much either. The combat is actually kinda fun, but the enemies are typical of the sort of game that it is: spongy. I'd like to try it again without the demo limitations but I don't think it's for me. This combat combined with a deeper and more interactive story/world could be killer but that's not what it is. Every time i think Bioware was working on this for so long instead of a potential new rpg like mass effect is hard for me not to get sour on Anthem. It looks 100% like a loot shooter even though they keep stressing there is story. It's very clearly a looter shooter, and the combat system is fun to play. They nailed the "Iron Man simulator" feel and mechanics, the rest... seems ok but nothing special. I'm gonna play it because I got tired of Destiny back in Taken King and I need an action game that is quick to pickup and play, but I don't expect this game to light up the industry.